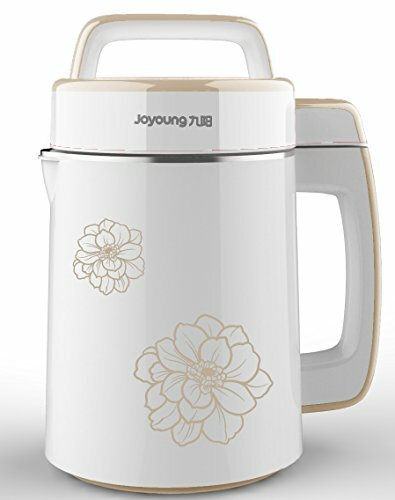 Joyoung soy milk maker, model CTS-2038 is fully automatic home kitchen appliance that can be used to make different drinks. It is computer controlled, and will automatically preheat, grind and cook on its own at the push of a button. 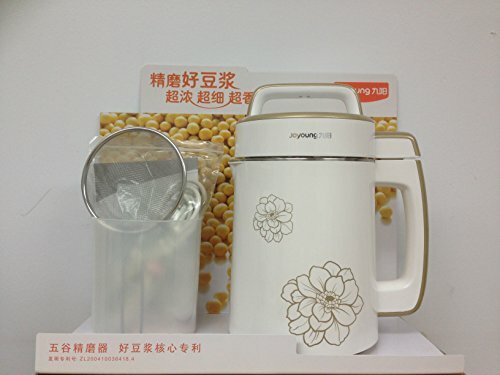 Using CTS-2038, you could be drinking fresh, healthy soymilk in about 25 minutes(Middle water line, water temperature 23℃). CTS-2038 adopts ultra-fine grinding technology for more nutritious. 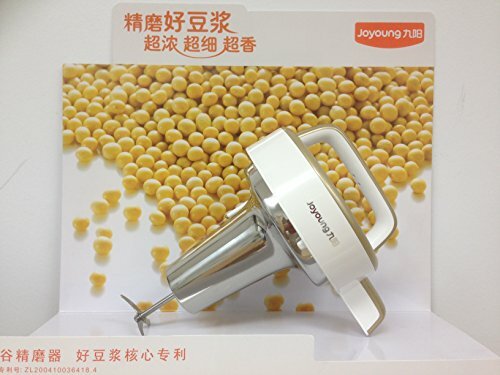 And “Boil it and soft heating for sweetness” method will make soymilk emulsify better and easy to be absorbed. – No Internal Filter To Clean, Making Clean-Up Easy! – Can Use Soaked or Dry Soy Beans! – Reduce the risk of heart disease due to cholesterol free and high fiber. – Reduce the risk of digestive disorders due to high fiber content. – Dairy-free and ideal for people with lactose intolerance and milk allergies. – Protein source in vegetarian diets containing the necessary amount of essential amino acids for tissue repair and growth. Attention: The bean sample is enough to make Soy Milk TWICE. 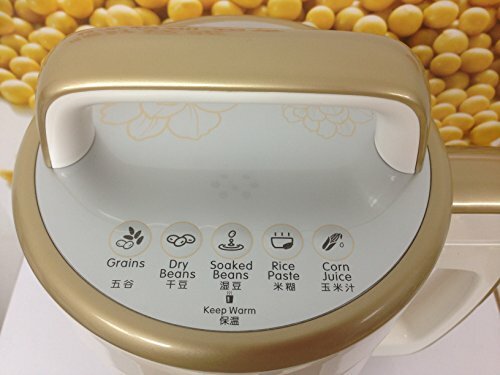 Follow user manual to put in correct amount of soy bean. 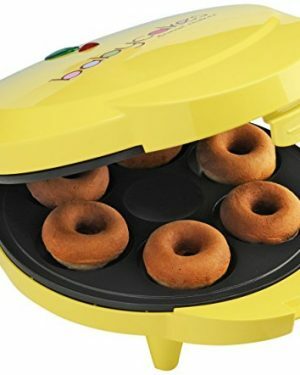 Bake homemade light, and delicate Cake doughnut for a healthier breakfast or anytime snack with this Professional FLEXIPAN® Donut Mold. 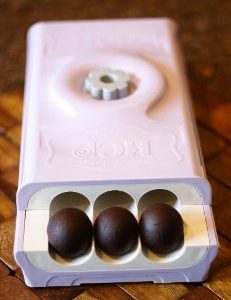 No oil is needed to grease this FLEXIPAN® Donut Mold, so less fat and a unique unmolding experience: perfectly defined shape Cake Donuts, complete with holes in the center, will just pop out of the molds once cooled! 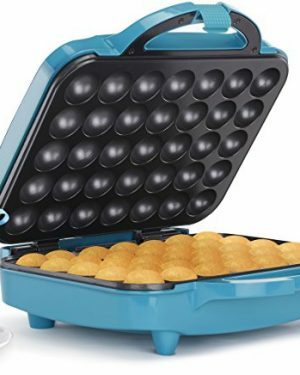 Designed and Made in France by Sasa Demarle – creator of the Original Silpat® non-stick baking mat – the FLEXIPAN® molds became the preferred choice of professionals Pastry Chefs worldwide when creating most of sweet and savory preparations that they had formerly made in metal molds. 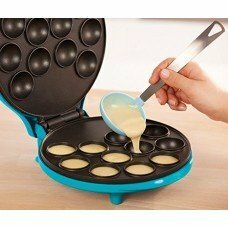 For decades, its legendary flexibility has made it a quick and easy task to release cakes, muffins, mousses and more, from their pans. No need to grease the pans! Made of a unique Fiberglass mesh and highest quality food grade Silicone combination, FLEXIPAN® Donut provides superior non-stick performance, durability and maximum flexibility. FLEXIPAN® Donut is certified to last for 2000 baking cycles.